The study was led by researchers at the University of East Anglia (UEA) and the University of Groningen in the Netherlands, in collaboration with the universities of Sheffield, Leeds and Wageningen, and with Nature Seychelles. Professor Terry Burke, from the University of Sheffield's Department of Animal and Plant Sciences, said: "It is well understood that one of the benefits of having relatives' help to raise offspring is that this improves the survival of the young. We have now shown that as parents age they decline in their ability to care for their offspring, but having helpers compensates for this effect, allowing the parents to continue to reproduce successfully into old age. This result helps to answer the question of why some animals assist others to reproduce, instead of raising their own offspring." Professor David S Richardson, from UEA's School of Biological Sciences, said: "There is huge variation in lifespan between different species, and also between individuals within a species. But we know very little about what causes one individual to live a long healthy life, and another to die young. Or indeed, why individuals in one species live much longer than individuals in another similar species. Many species have cooperative breeding systems—in which offspring are cared for not only by their parents, but also by other adult members of the group called 'helpers'. These helpers are often—but not always—grown-up offspring from previous years. As well as studying how quickly individuals' chances of dying increased as they grow older, the team also used the length of the birds' telomeres as a measure of their condition. Telomeres are found at the end of chromosomes and act as protective caps to stop genes close to the end of the chromosome being damaged—like the hard plastic ends of a bootlace. Professor Richardson said: "Our previous work has shown that telomere length can be a good indicator of an individual's biological condition relative to its actual age—a measure of an individual's biological age so to speak. 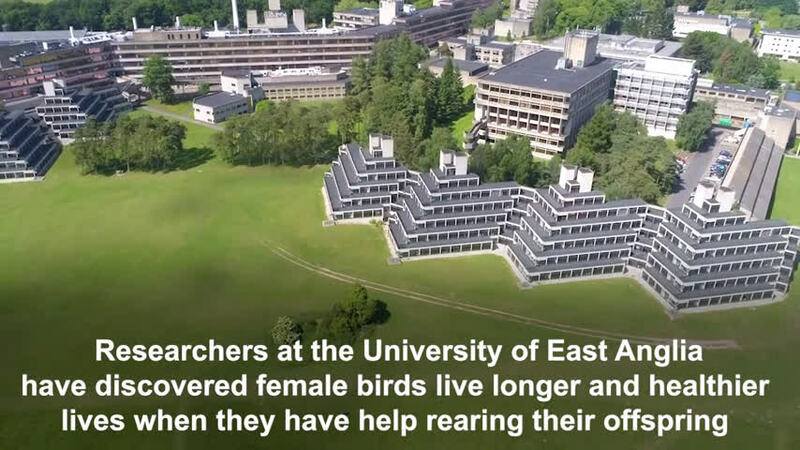 So we can use it to measure how quickly different birds are ageing. 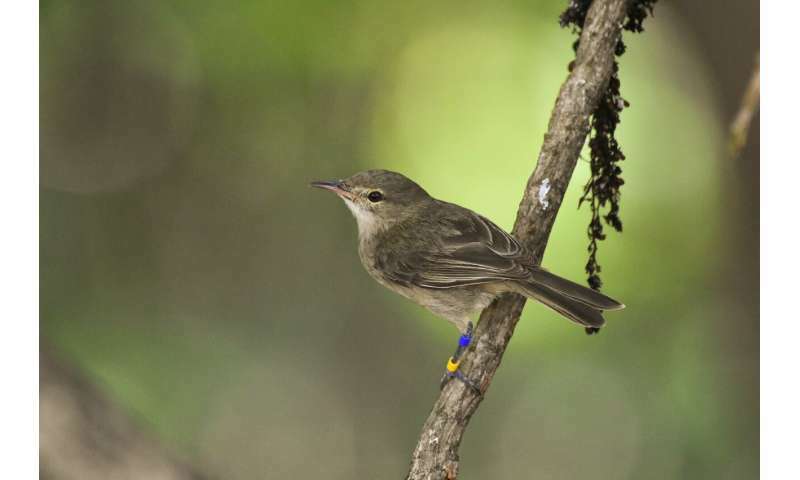 "In the Seychelles warbler the majority of helpers are female—and they assist with incubating the eggs and providing food for the chicks. This means that the parents don't need to do as much work when they have help. "We found that older dominant females really benefit from having female helpers—they lose less of their telomeres and are less likely to die in the near future. This shows they are ageing slower than females without helpers. Interestingly, these older female mothers were also more likely to have female helpers. Dr. Martijn Hammers, from the University of Groningen, said: "Our results suggest that for the older mothers, there are real benefits to cooperative breeding. Biologically speaking they stay 'younger' for longer, and they are more likely to live longer.